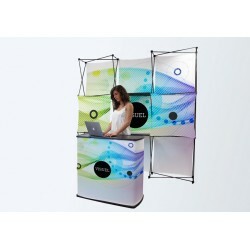 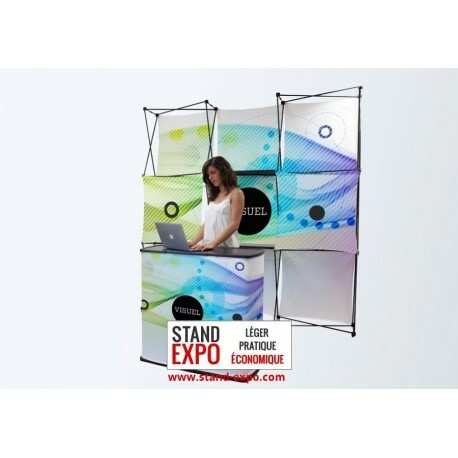 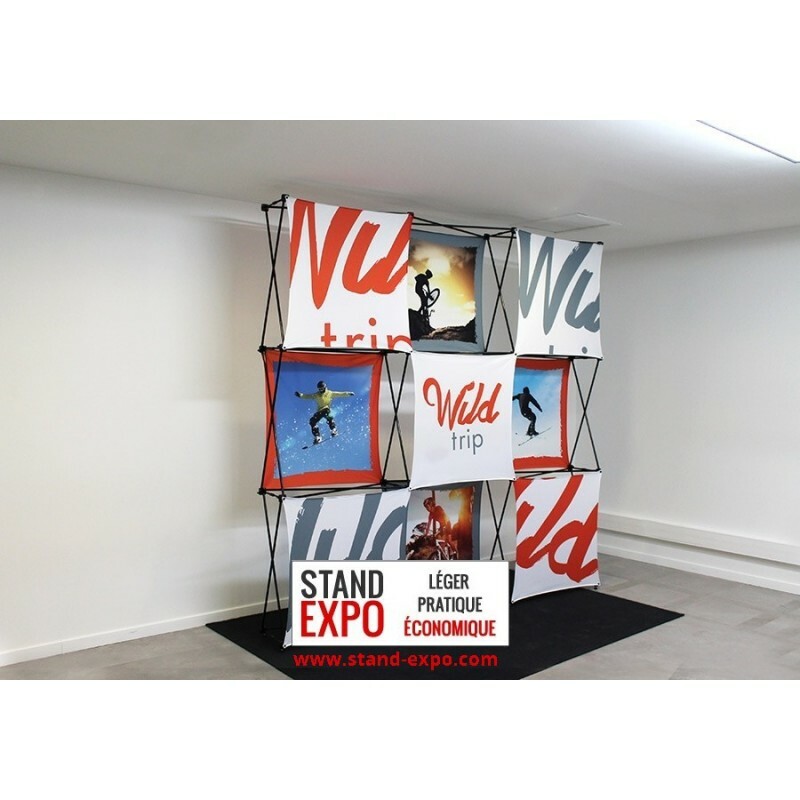 This kit is composed of a reception counter and a multi-faced wall, and allows you to display quickly your visual identity on your stand during your shows), fairs or exhibitions. 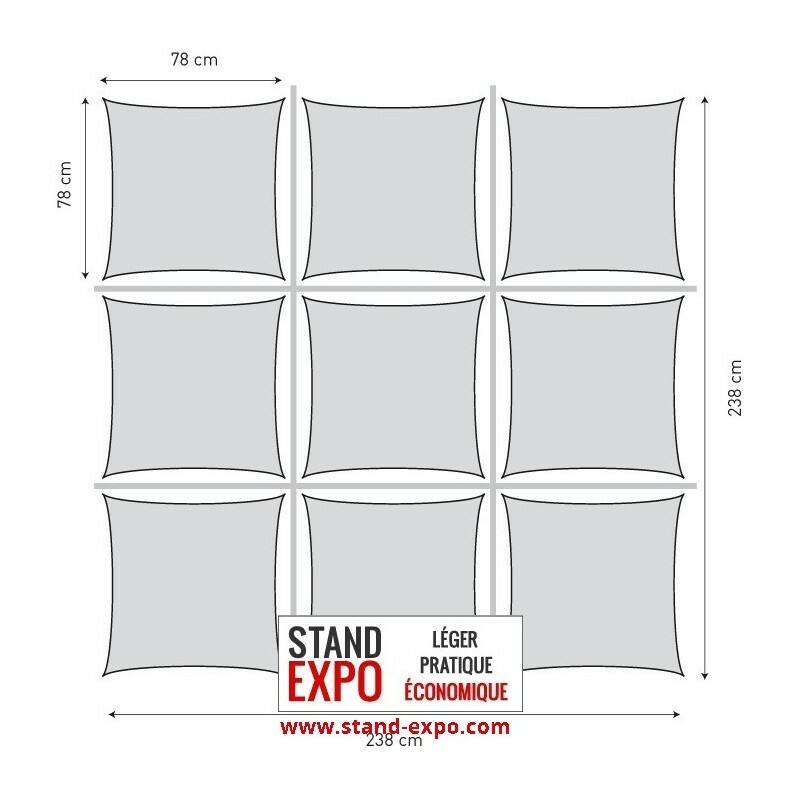 This stand kit is composed of a counter and a multi-faced wall. 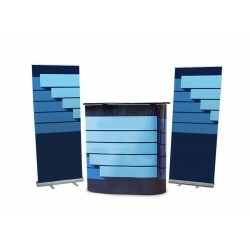 It can be quickly set up and will allow you to highlight your services offers. 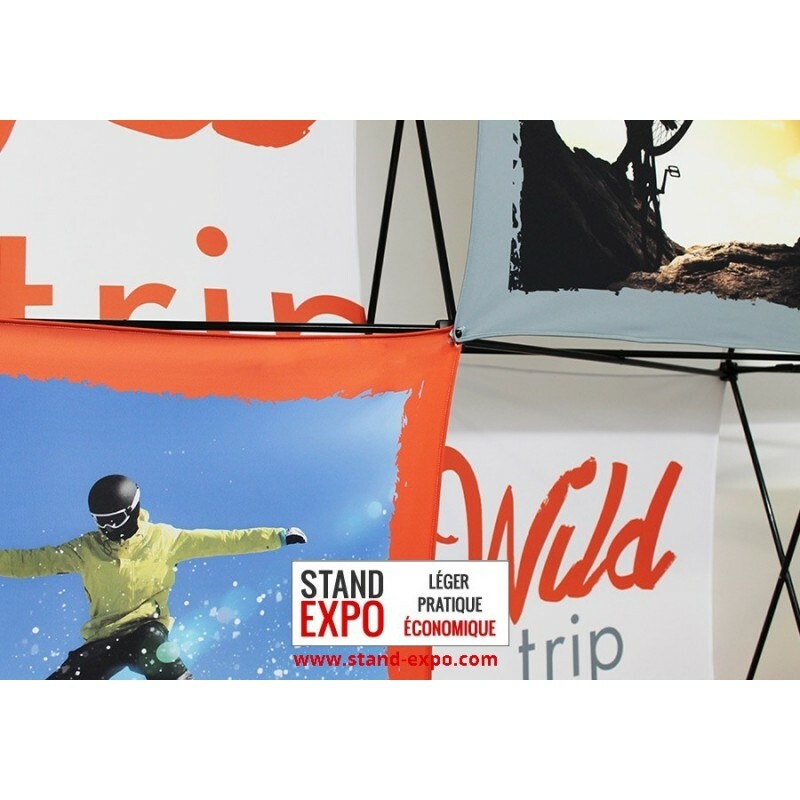 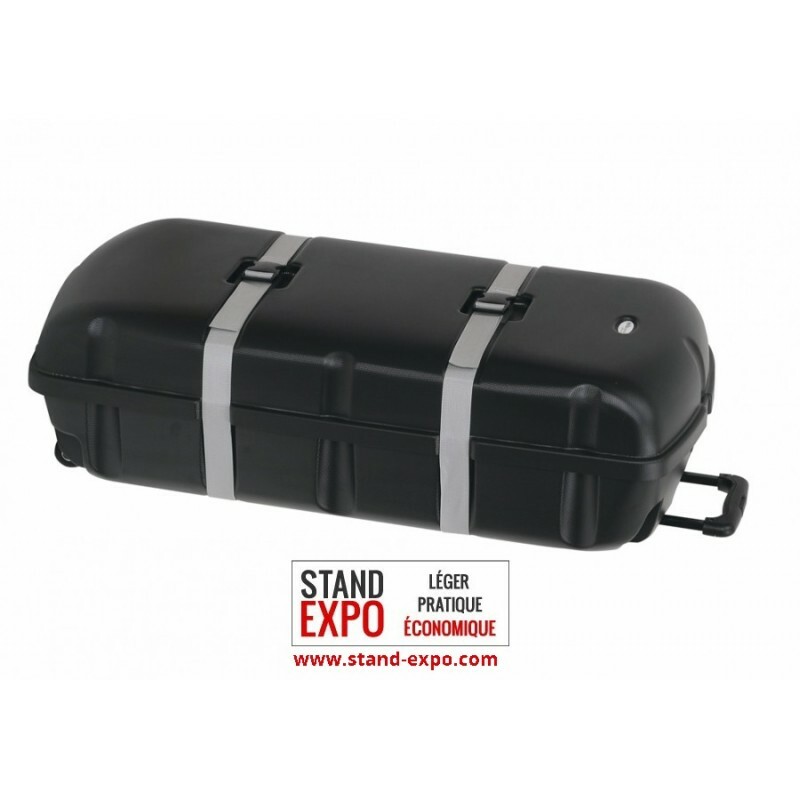 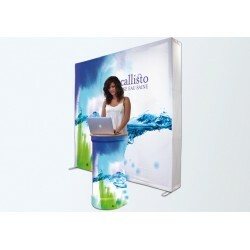 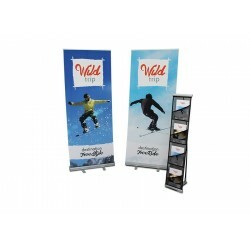 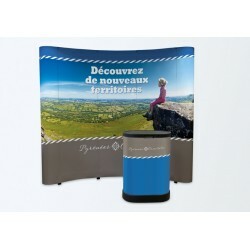 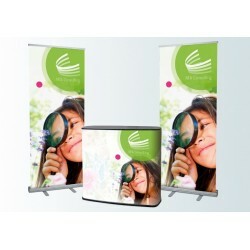 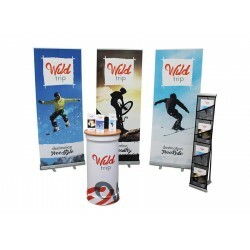 Its original design will catch the eye of the prospects / customers that come on your stand. 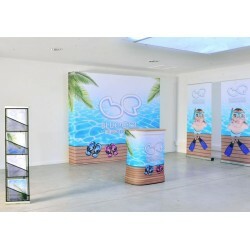 1 815,90 € tax excl.